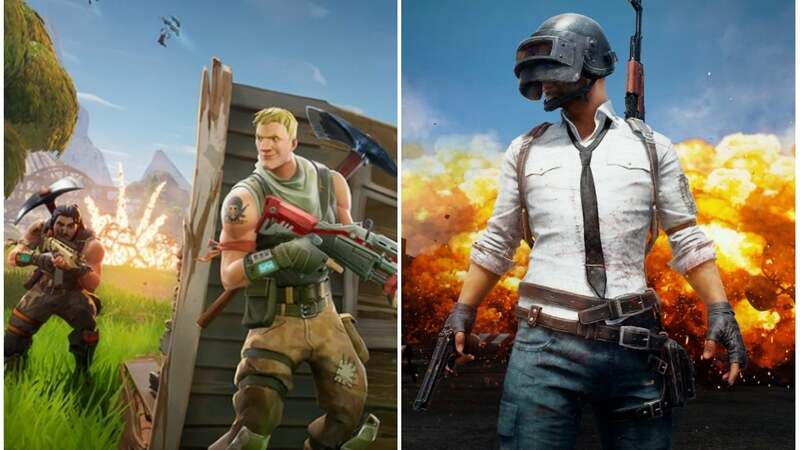 Fortnite vs PUBG: Which Battle Royale Game Is Better? When it comes to the battle royale genre, there are a number of titles available but only two names that everyone knows. We compare Fortnite vs PUBG to help you decide which battle royale game is best for you. Fortnite vs PUBG: Which Game Is Better? While there are some situations in which a game is clearly superior to another, comparing Fortnite vs PUBG isn’t quite as easy as declaring which one is better. Serious players of the battle royale genre have probably tried both at least fleetingly, although the majority of gamers tend to pick their favorite and start grinding their way to the top. Ultimately, comparing Fortnite vs PUBG comes down to personal taste, although there are areas in which one excels over the other. With the majority of these battle royale modes being a 100 person map, it’s important that you choose a title that can host a healthy playerbase for the foreseeable future. While both games are generally inexpensive or free outside of cosmetics, people invest a significant amount of time in the game in order to get good enough to win so the game you decide to go with had better have the chops to keep you gaming for years to come. Unless something changes drastically, it appears as if neither game is going anywhere. However, we’ve seen a trend over the past few months of more and more players migrating away from PUBG and onto Fortnite. Add to that the incredible success of Fortnite Mobile which completely outclassed PUBG Mobile in terms of profit, and it’s easy to see that Fortnite seems to be picking up steam. While PUBG was the first major player in the battle royale arena, Fortnite may actually boast more players in 2018. You’ll find a match easy enough on either title, but popularity could potentially be an indication of quality. When comparing Fortnite vs PUBG in terms of graphics, it’s purely a matter of personal taste. While PUBG opts for gritty, realistic, and serious graphics, Fornite takes the complete opposite approach with more whimsical and colorful design that masks a deceptively deep shooter gameplay. The PUBG design seems to add to the serious and direr feel that the game tends to bring about in players, while Fortnite’s graphics might take some of the sting out of being mercilessly shot game after game. If you value stylized and cartoony graphics, Fortnite might be right up your alley. Otherwise, PUBG is the way to go. Gameplay is perhaps the most important consideration when comparing Fortnite vs PUBG, and again, it depends on what you want. Fortnite’s gameplay places an emphasis on construction, with many firefights decided by which player is defter at controlling the rapidly climbing structures that you build with the resources you discover throughout the course of the game. PUBG, on the other hand, has a much more in-depth crafting system and many more weapons and items. It offers a different and arguably deeper form of strategy that rewards preparedness more than rapid base building. The map is also bigger and features vehicles, while Fortnite players are left to run around on foot. If you’re looking for a unique twist on the shooter genre, Fortnite hits the mark. For a slower and more strategic form of gameplay, PUBG is the better choice. Having an excellent battle royale game is well and good, but if you can’t stay connected easily and are constantly griefed by bots, it doesn’t leave players with the desire to come back. In general, PUBG is regarded as having more issues in the technical front when compared to Fortnite. That’s not to say that PUBG can’t run beautifully on your PC, video game console, or phone, but the game still has its share of bugs while Fortnite does seem a little more ironed out. This is a highly controversial topic that could be decided in many different ways, but we feel that Fortnite is the superior title in the battle royale genre. With unique gameplay that is fast-paced rather than drawn out, it’s more accessible at the lower levels than PUBG and has a booming population that shows no sign of slowing down.